California Spirits by Robert Lyn Nelson. 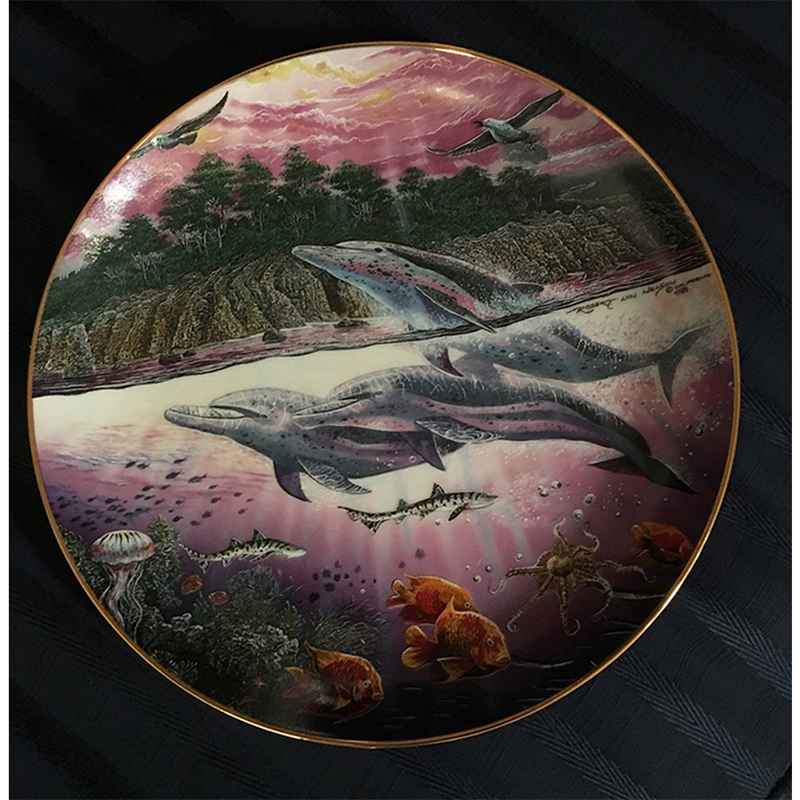 Limited Edition plate from the collection entitled Underwater Paradise. 1991. Mint condition. Comes with certificate. Without original box. 8 1/2 inches in diameter.